Although GDPR is meant to change the way companies handle their customers’ personal data, their influence has an even greater reach. GDPR will force businesses to alter the way they manage their supply chains. Read on to learn how supply management will shift under GDPR, and the role managed IT services will play in ensuring GDPR compliance. How Will GDPR Affect Supply Chain Management? The goal of GDPR is to protect the privacy of EU citizens. As a result, companies must take special care when transmitting customers’ personal information. What does that have to do with supply chain management, though? GDPR regulations are designed to protect EU individuals' privacy rights, so you might think that B2B companies would not be affected by GDPR. However, analysts believe that this is a very gray area in the regulations. Why? "A significant amount of data is typically shared among companies in the electronics supply chain. If a distributor sells components to an end customer, that customer’s information is shared with component suppliers. In most cases that data identifies the end customer as a business...But in the electronics design chain, engineers frequently buy small volumes of components with a credit card that may be associated with that individual. Makers and inventors also buy electronics components." This raises questions as to whether these transactions would be covered by GDPR. 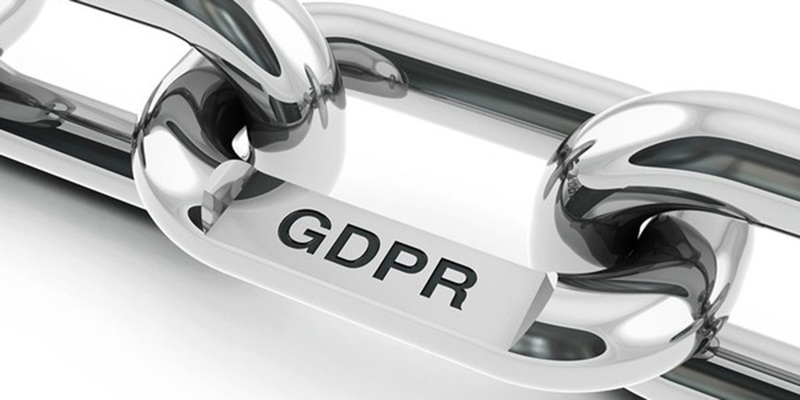 This is just one example of how firms might run afoul of GDPR regulations inadvertently if specific steps are not taken to address data security issues appropriately. Where Do Managed IT Services Providers Come In? GDPR has left many companies feeling underprepared and overwhelmed. According to a survey conducted in September 2017, one-quarter of American companies do not know if they are prepared to comply with GDPR. The good news is, you do not need to go it alone. Managed IT services providers can help you change the way you handle data throughout the supply chain so that you are GDPR-compliant. The first thing they will do is create a map of how information (especially customers’ personal data) flows through the supply chain. Moreover, managed IT services providers evaluate your current systems to determine how much risk they carry. The systems you use to communicate with your trading partners might not be secure, and hackers could exploit those vulnerabilities. A managed IT services provider identifies those weak spots and shores them up so that breaches will not happen. Another area in which managed IT services providers can help ensure GDPR compliance is actually non-technical. Your employees need to be trained on how to keep customer information safe so the firm abides by GDPR. Managed IT services providers offer that training to your employees so that no one can claim ignorance if they are engaging in risky practices. While many firms believe that GDPR does not affect them because they are outside of Europe or because they do not directly handle customer data, that is not the case. Customers’ personal information does indeed flow through the supply chain, and it needs to be kept safe. Staying GDPR-compliant requires changing the way information is handled in the supply chain, but a managed IT services provider gives you the guidance you need to stay on the right side of the law. To learn more, contact us.